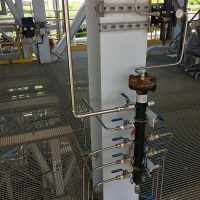 Spirotech-SRD offer project design, project management and a range of on-site skill sets from mechanical fitters, coded pipe fitter welders, slinger banksmen and commissioning engineers. 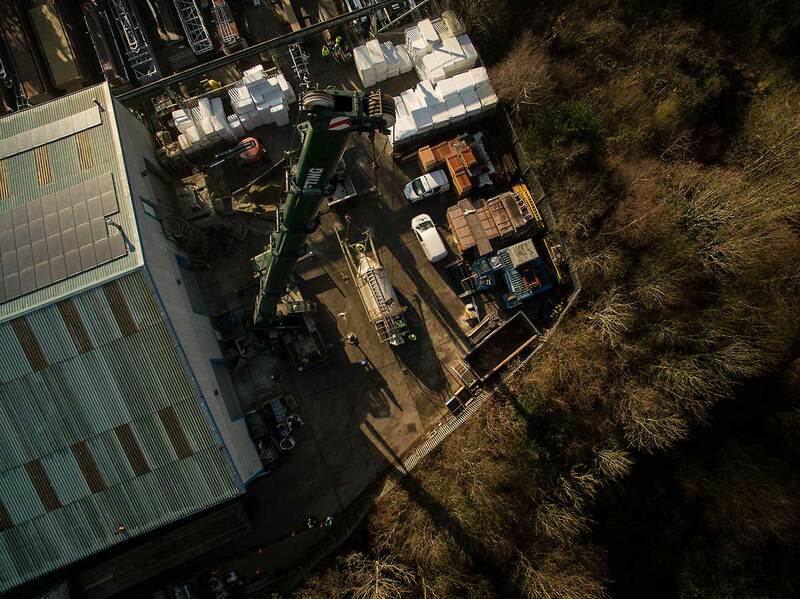 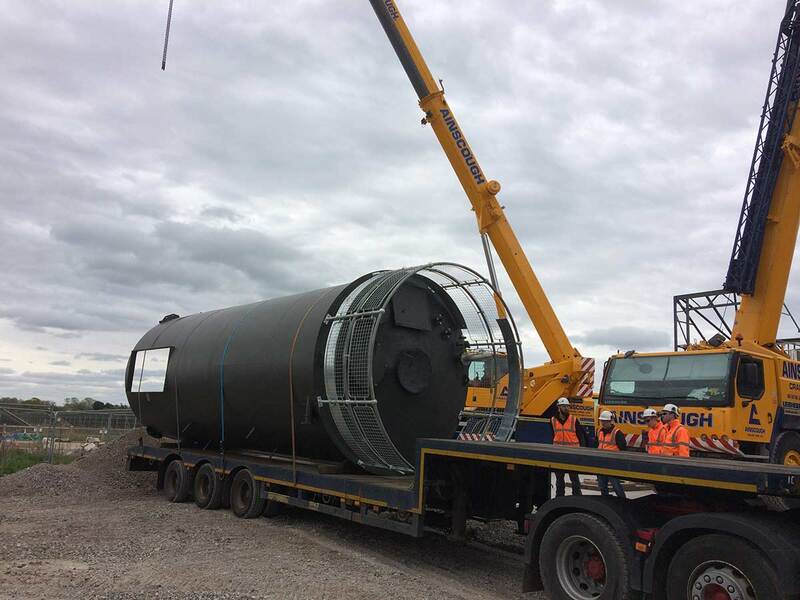 Along with strident Health and Safety management on site we ensure a high quality turnkey solution is delivered safely, on time and to budget. 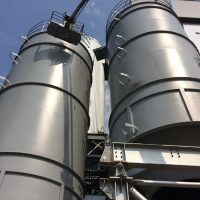 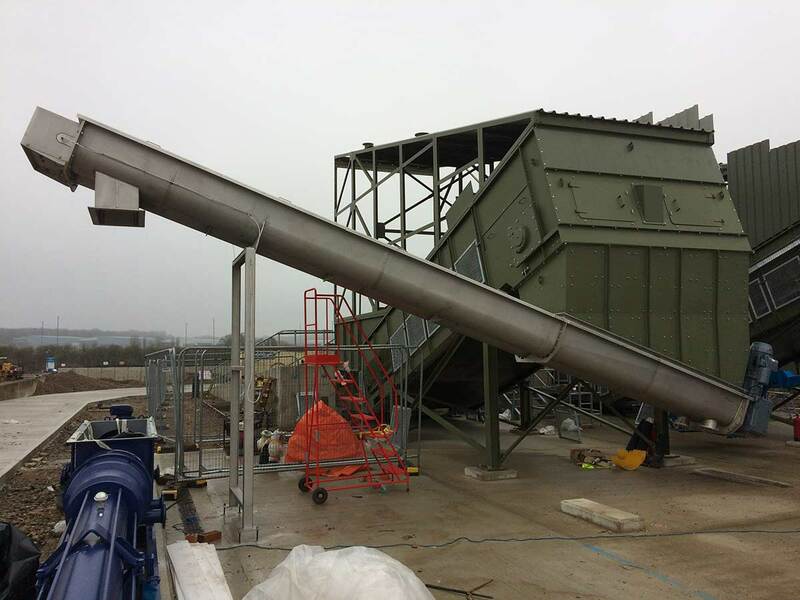 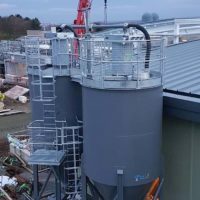 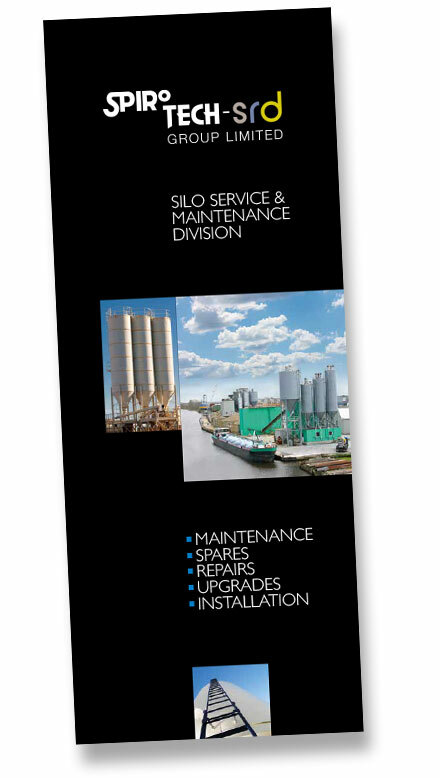 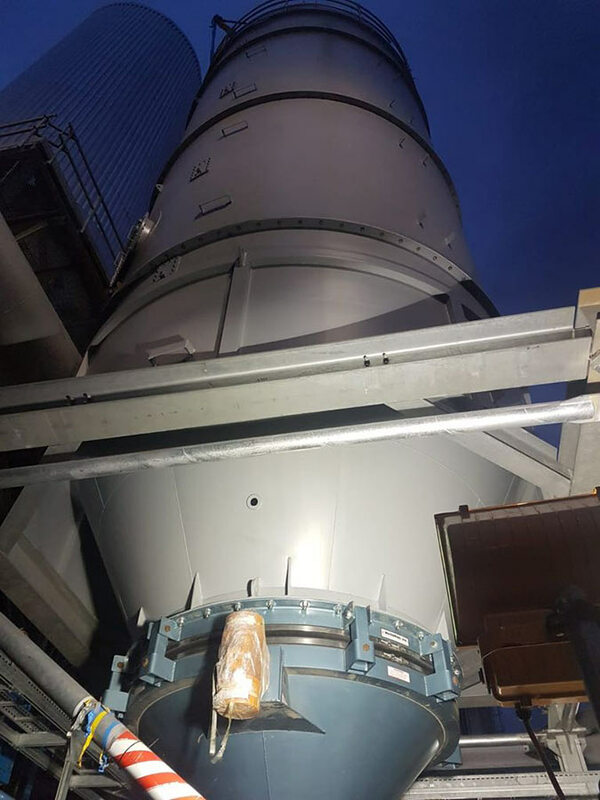 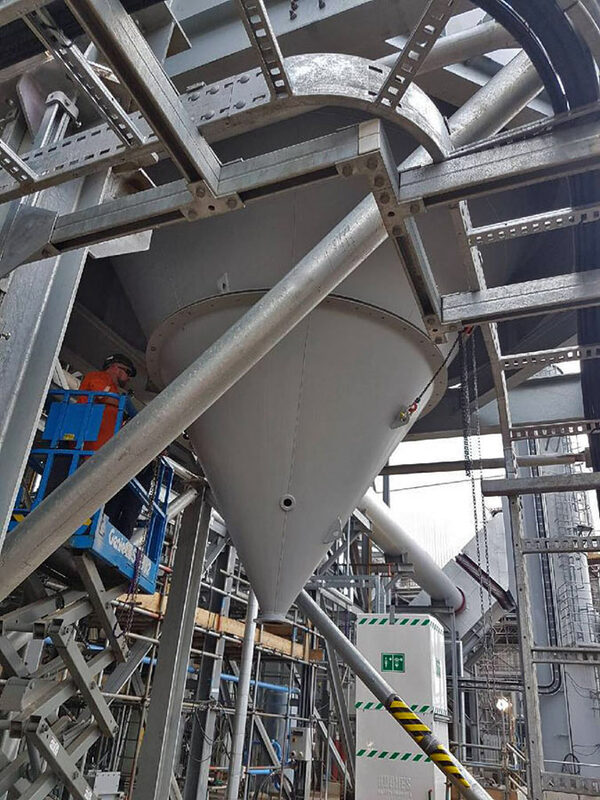 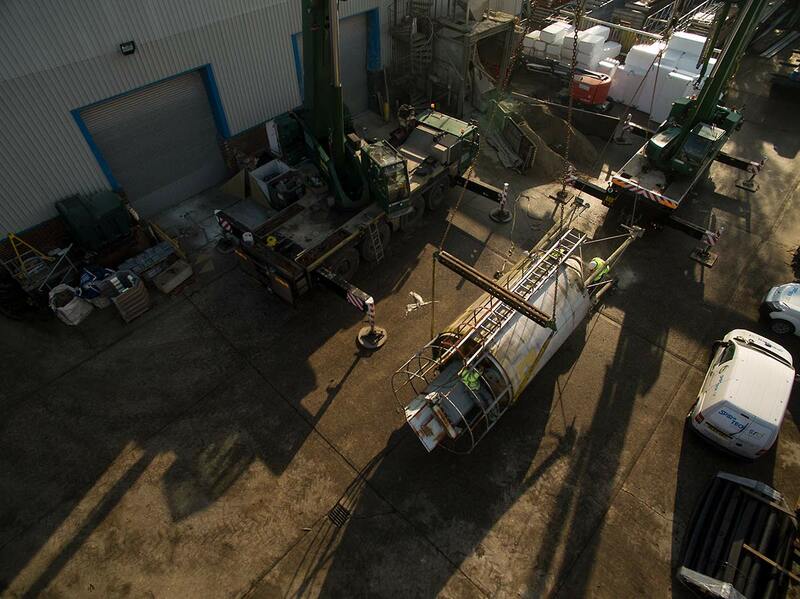 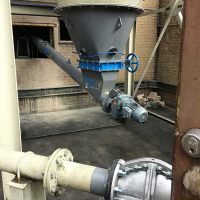 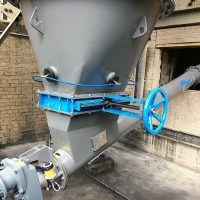 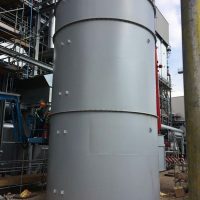 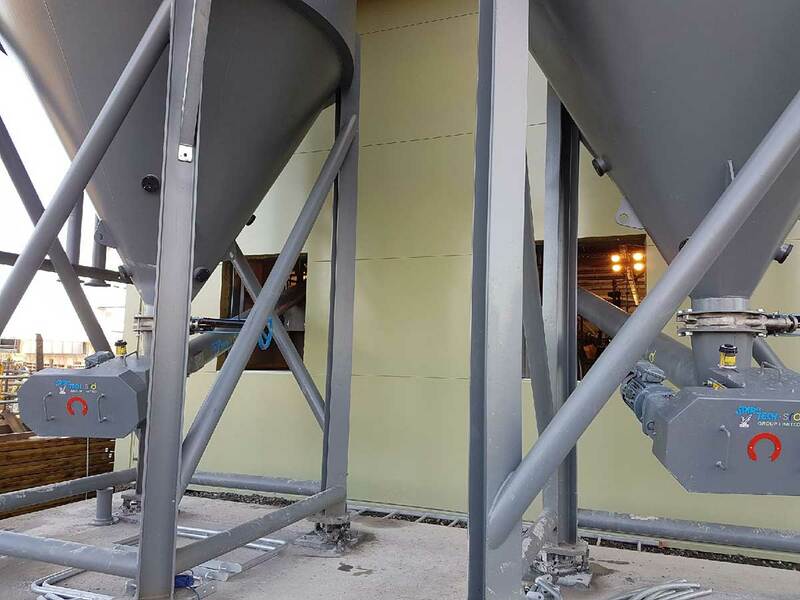 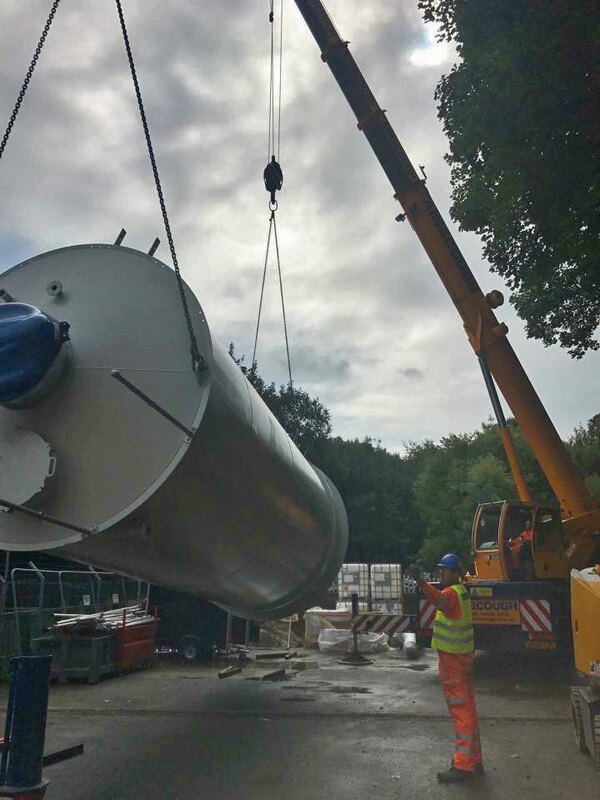 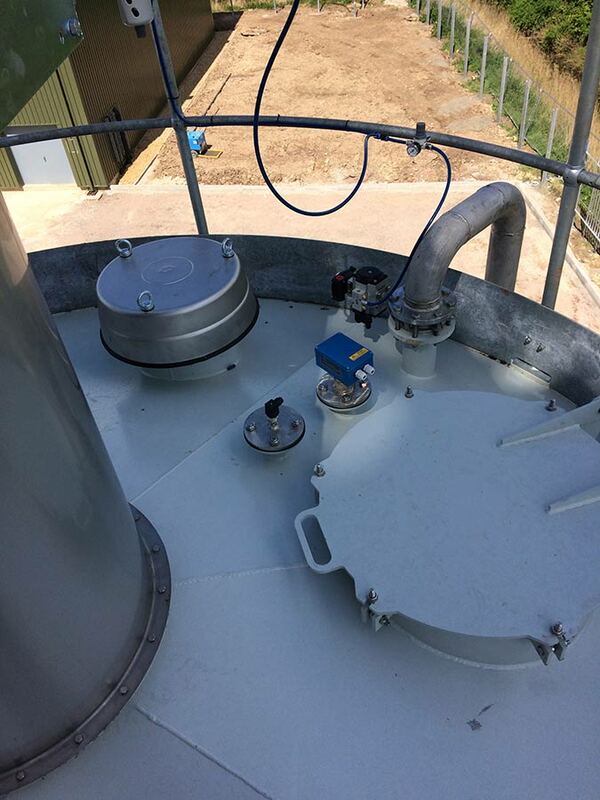 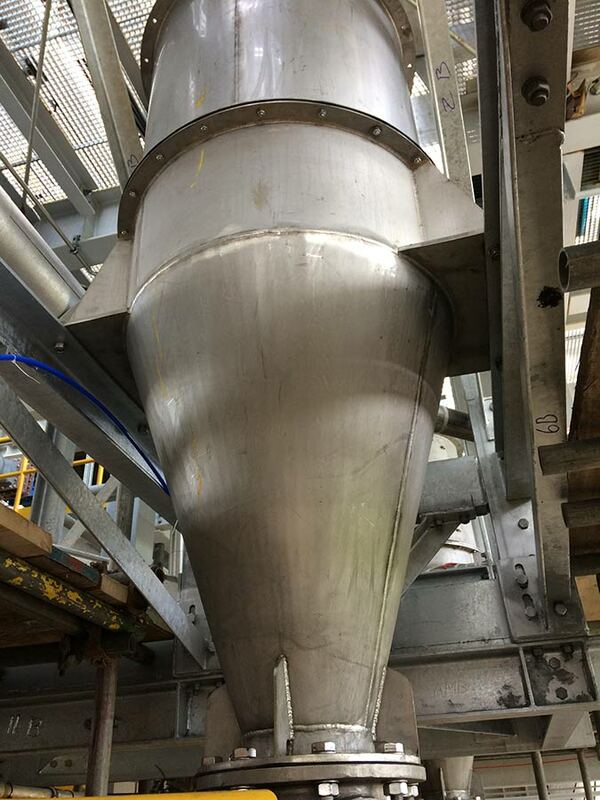 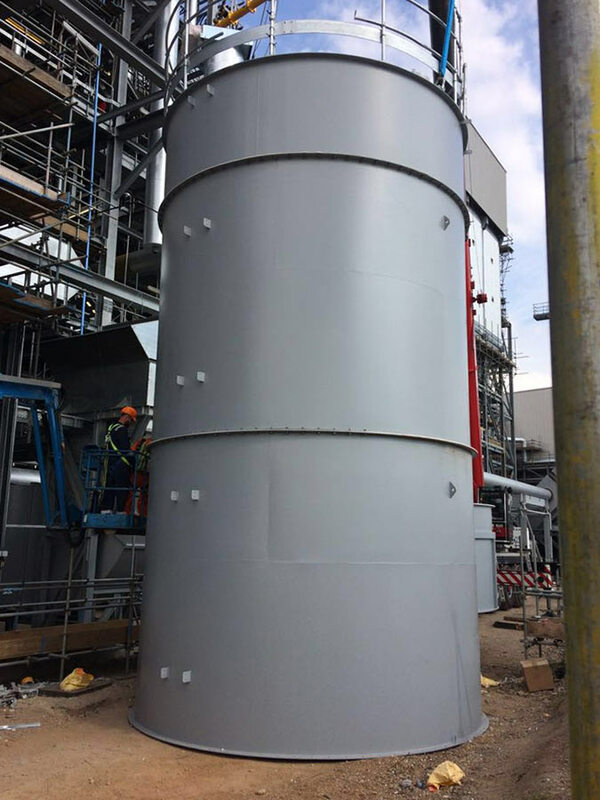 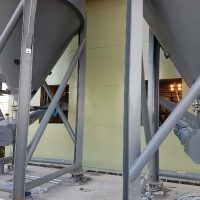 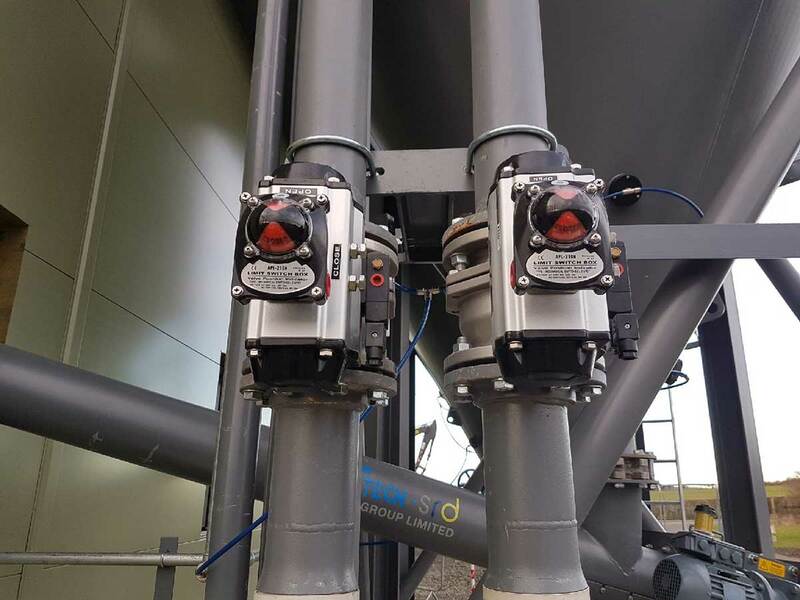 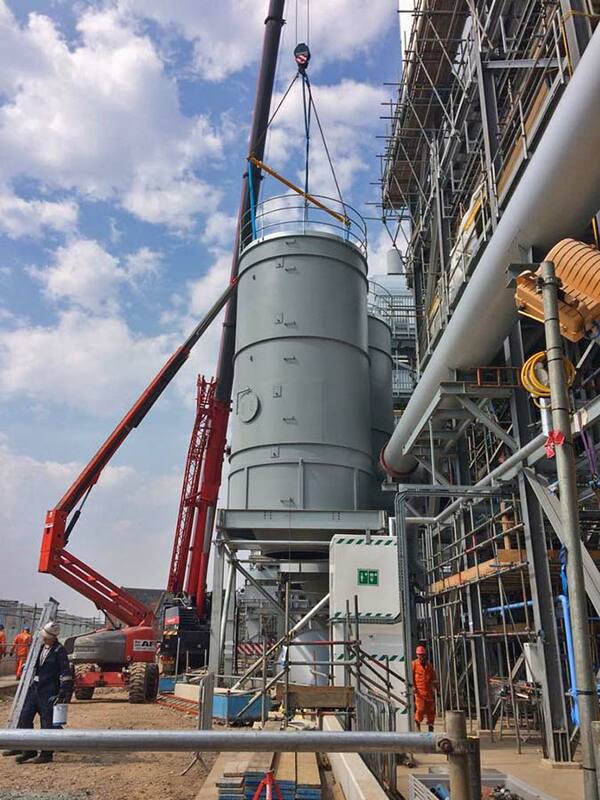 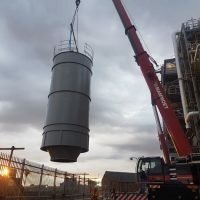 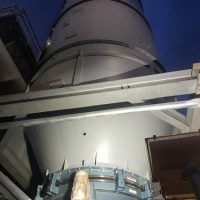 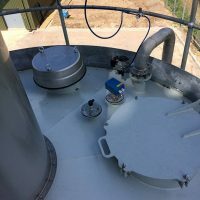 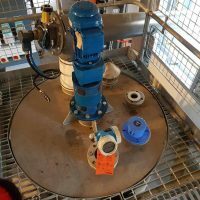 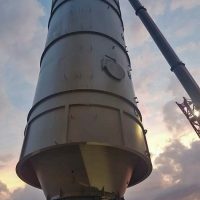 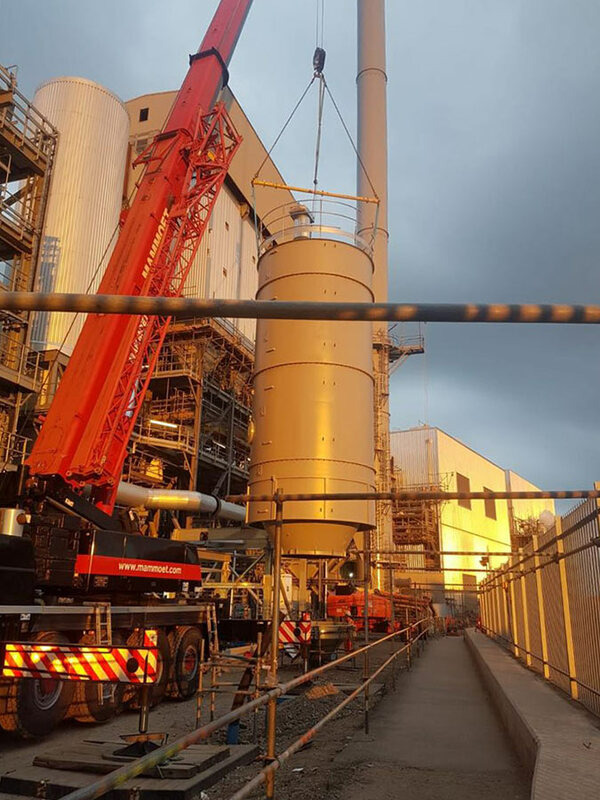 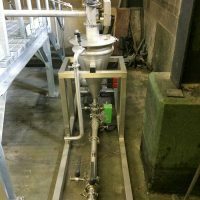 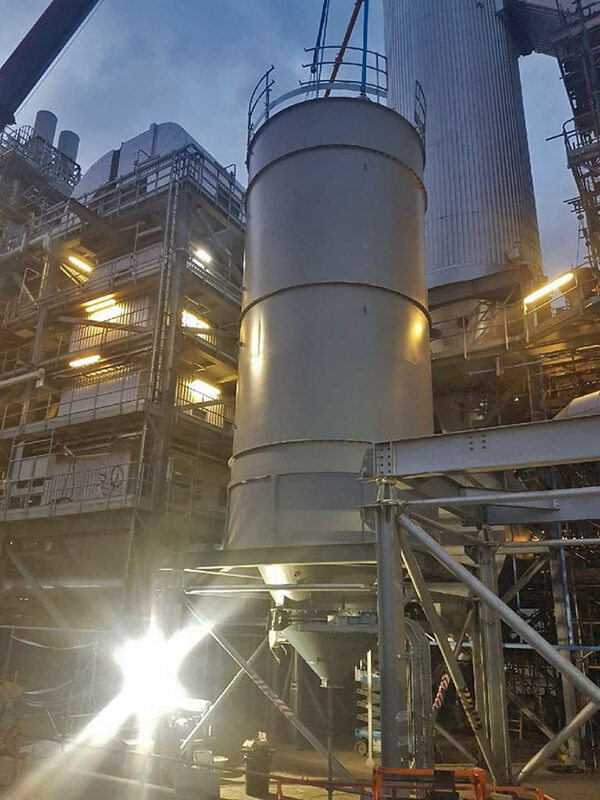 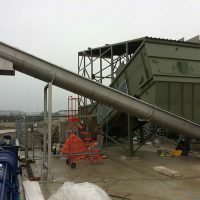 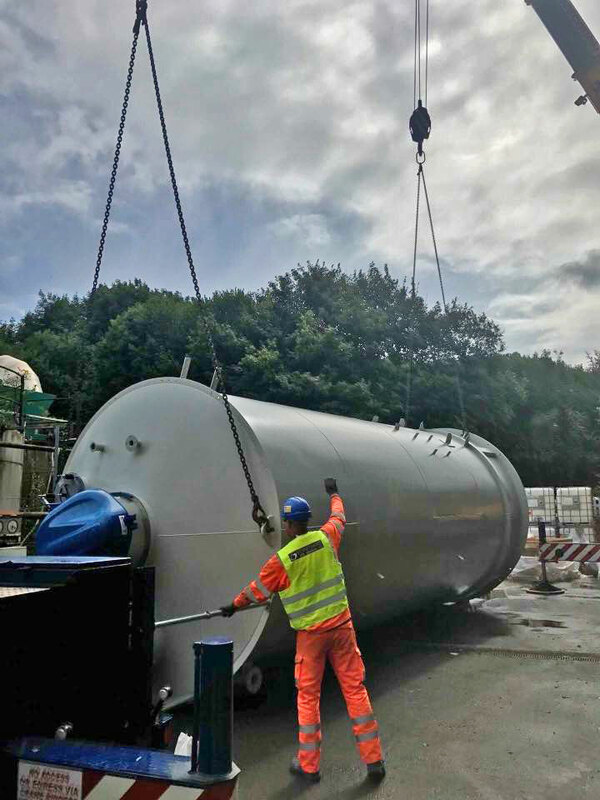 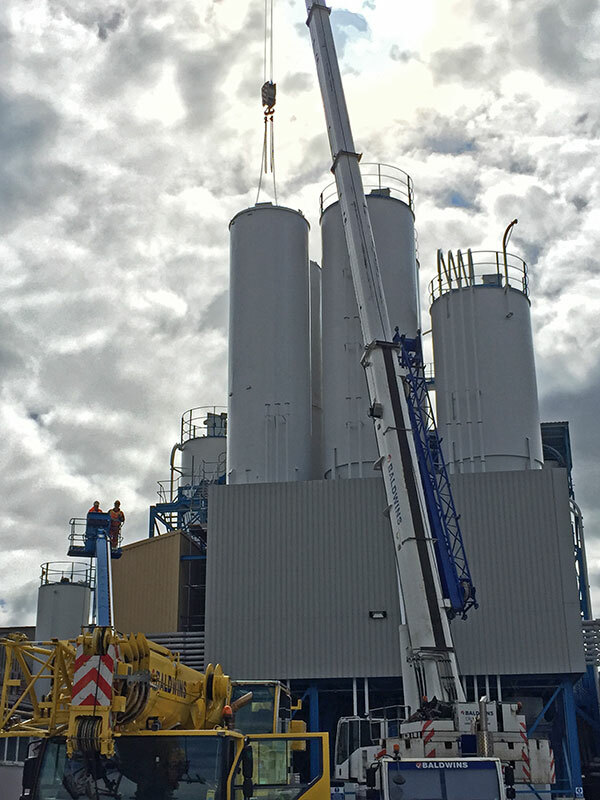 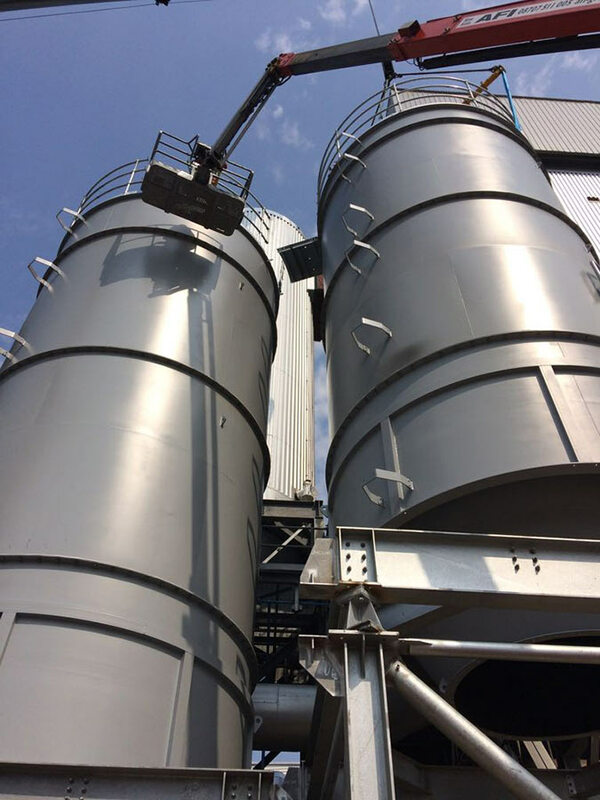 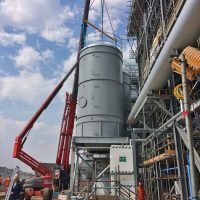 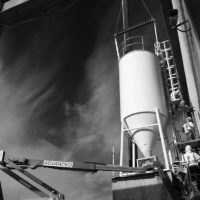 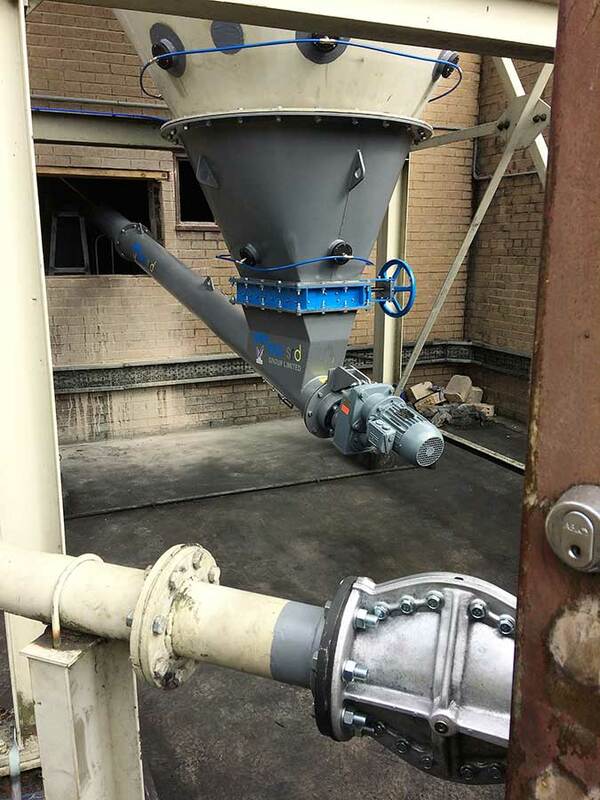 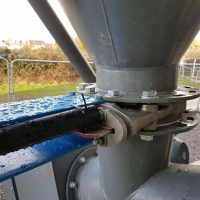 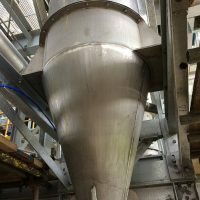 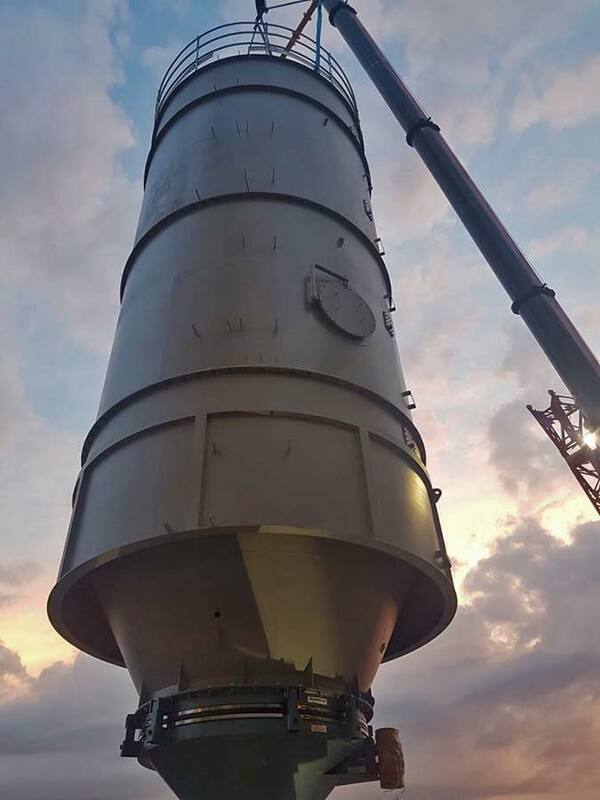 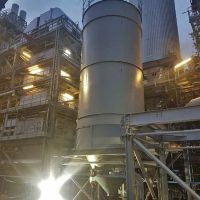 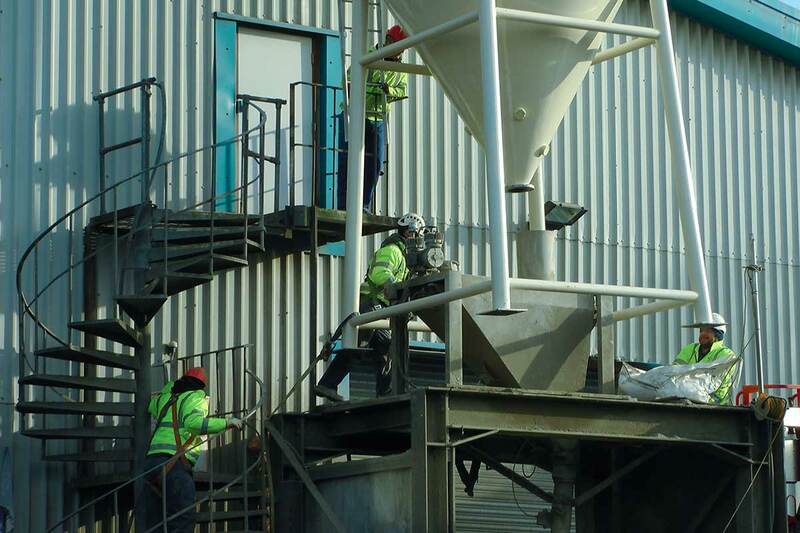 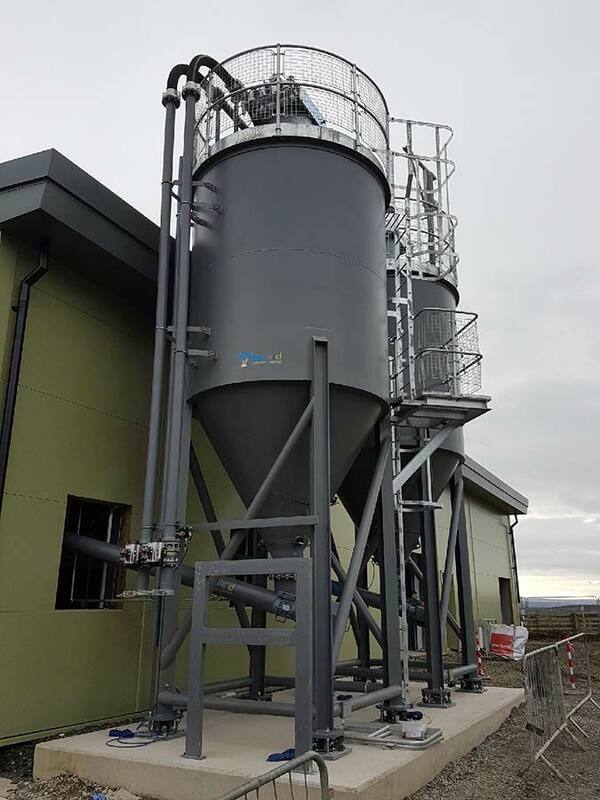 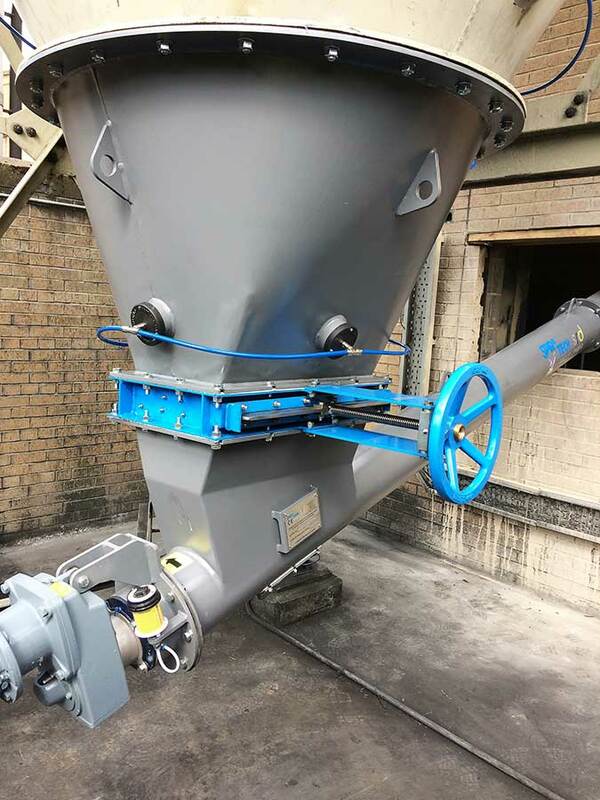 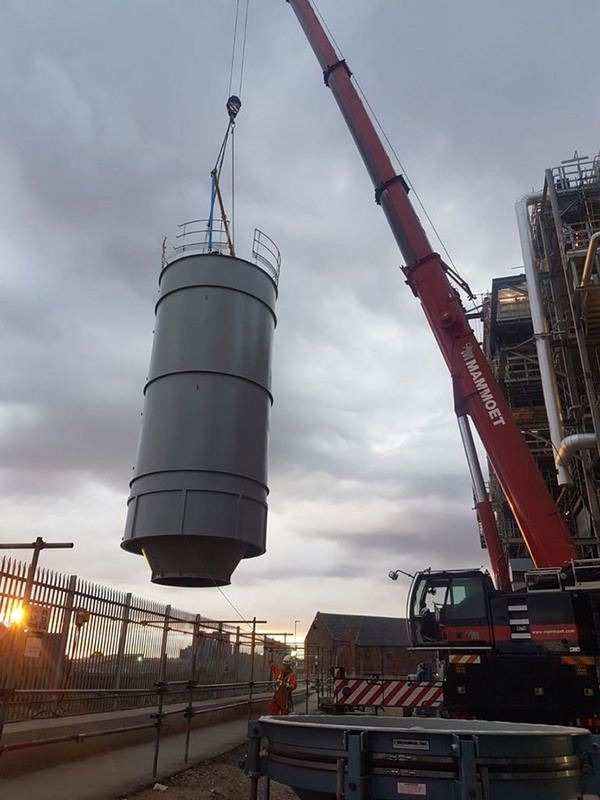 Our silo installation engineers have worked all over the world on many different sites from chemical, food, power, aggregates, to waste and clean water projects. 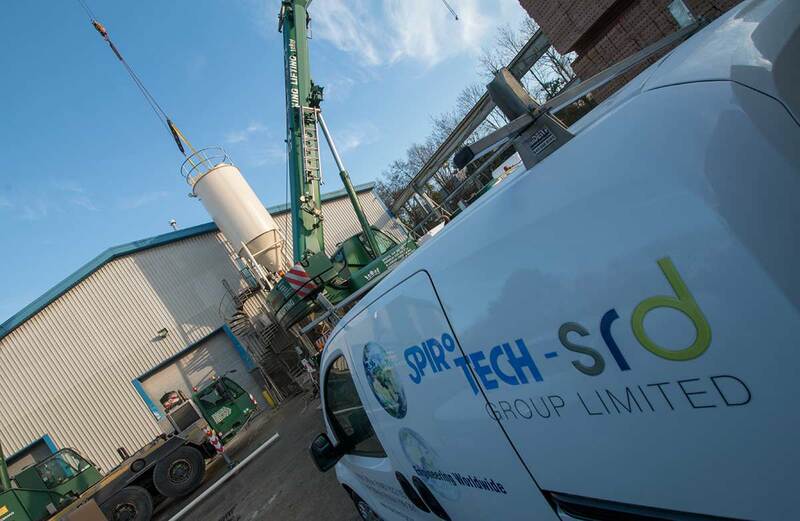 Vitally, the Spirotech team of in-house project managers ensure that all details are taken care of prior to site mobilisation, allowing work to commence without delay from day one. 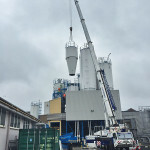 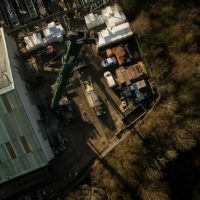 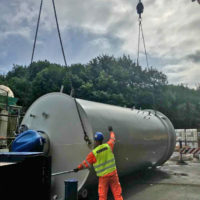 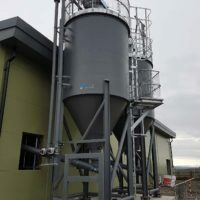 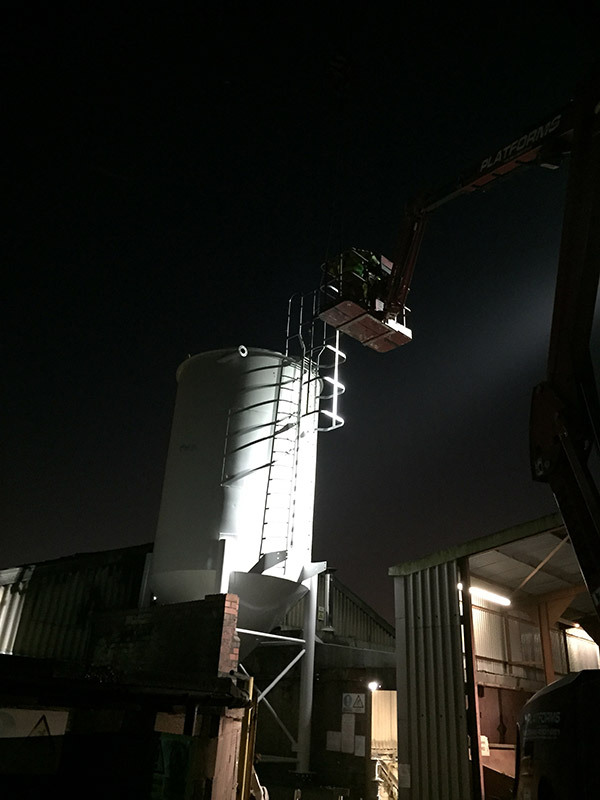 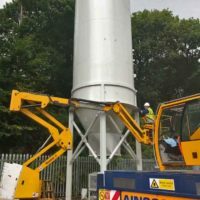 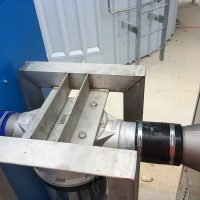 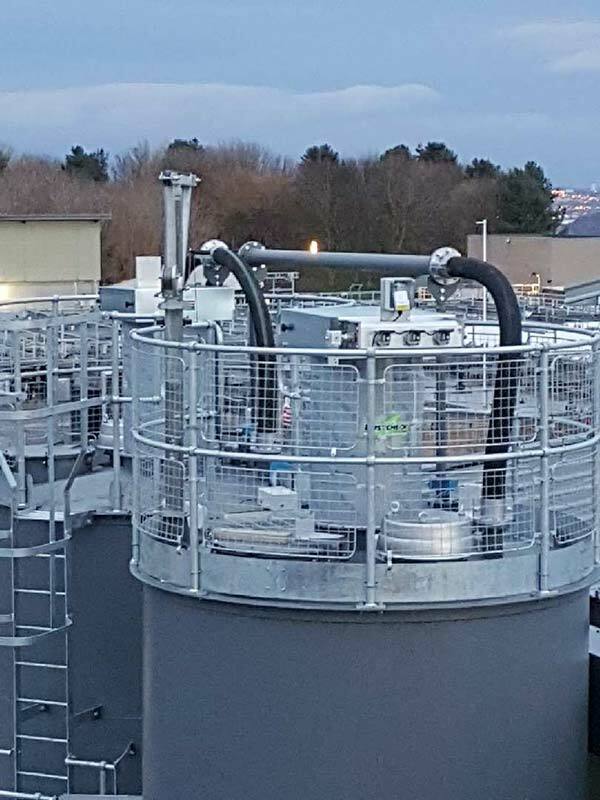 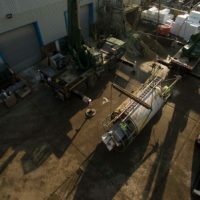 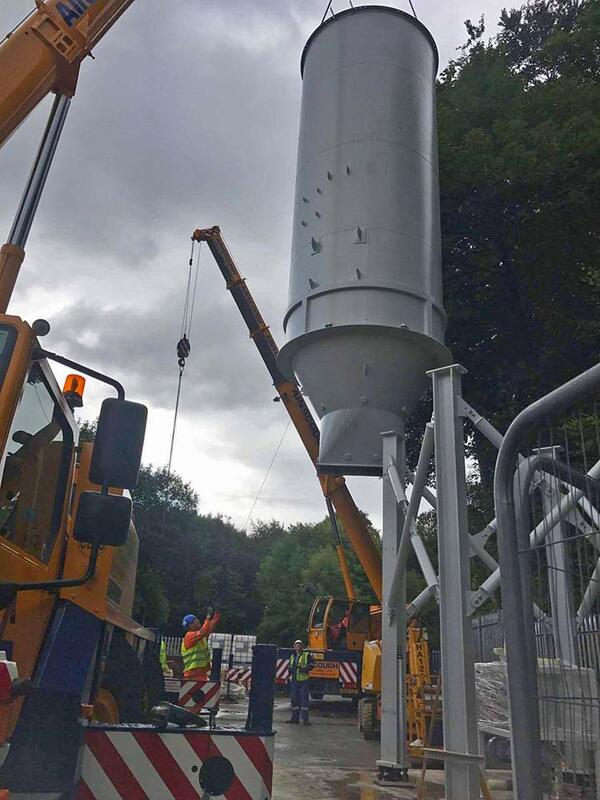 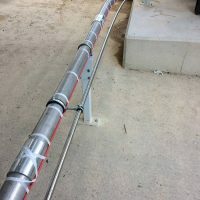 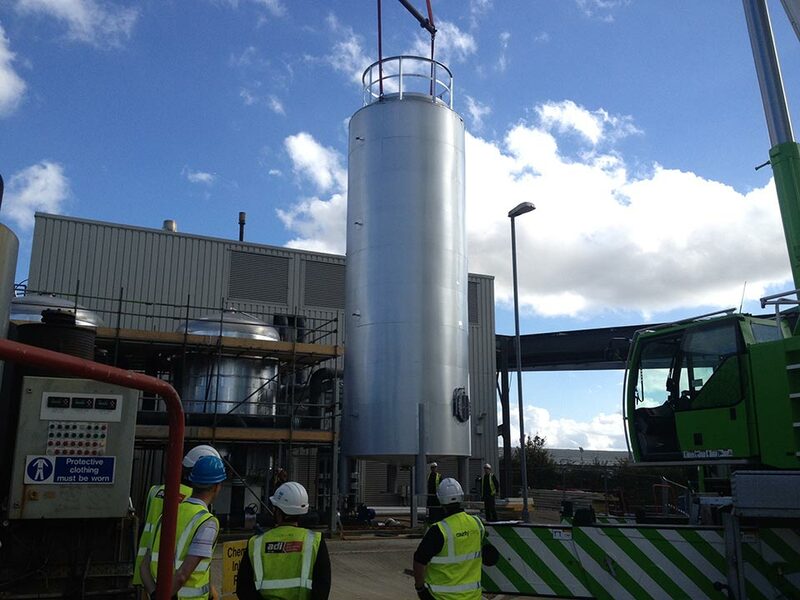 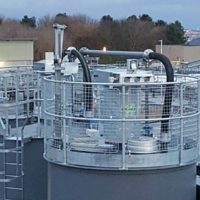 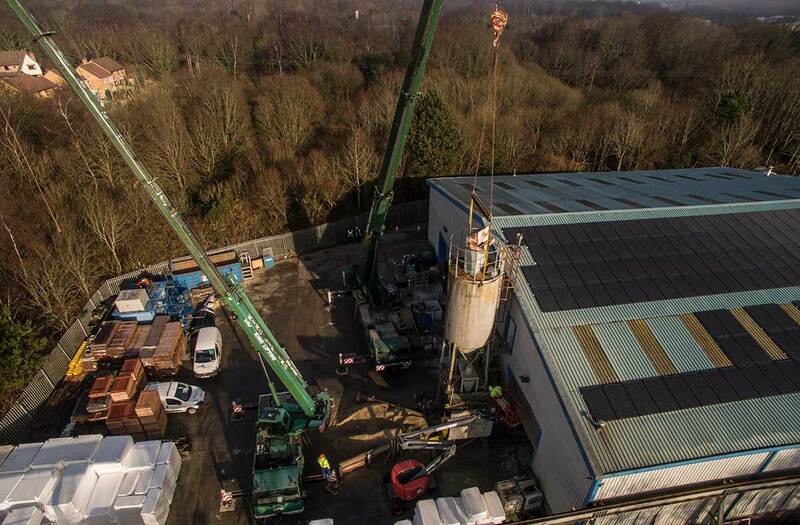 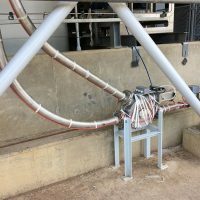 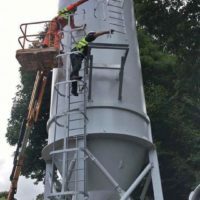 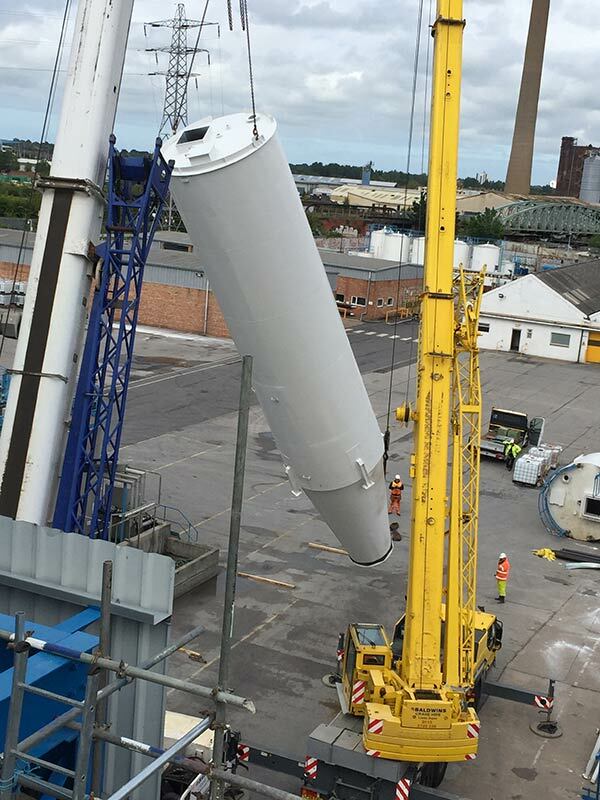 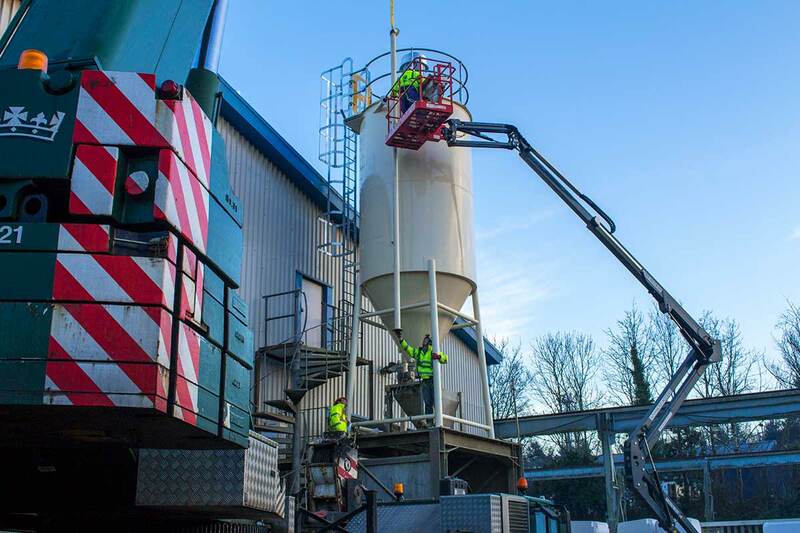 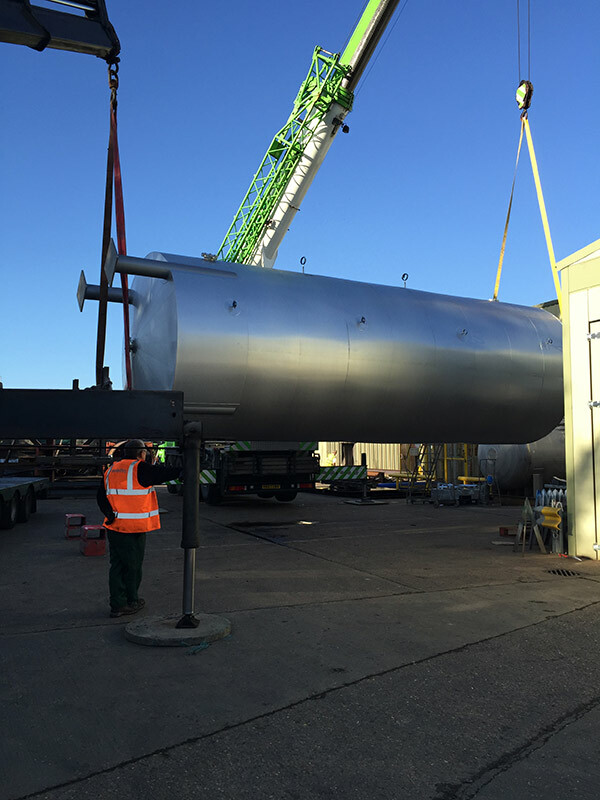 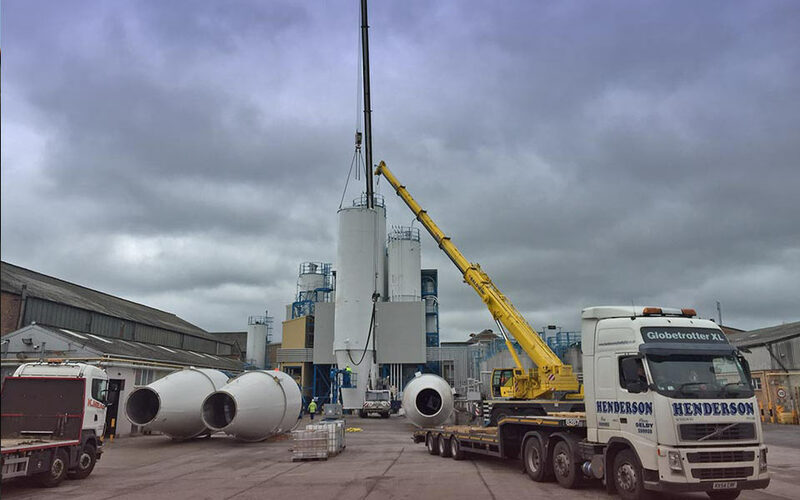 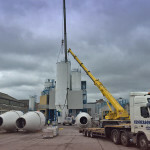 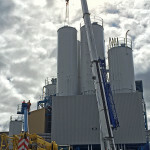 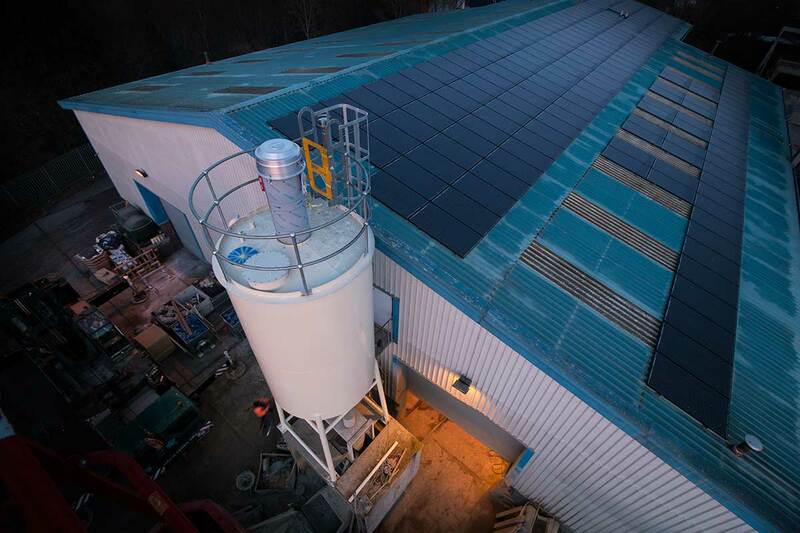 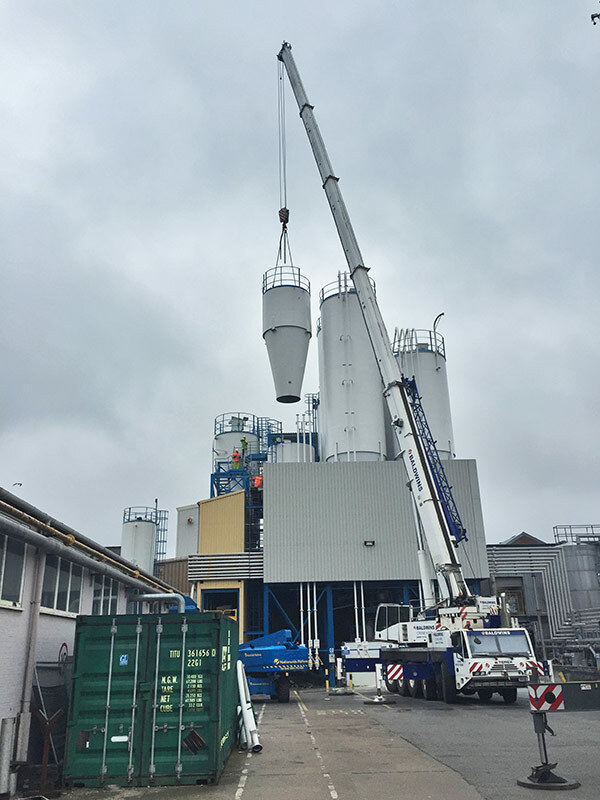 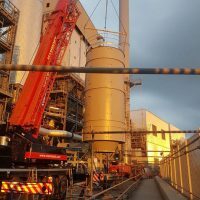 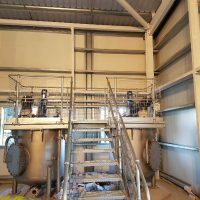 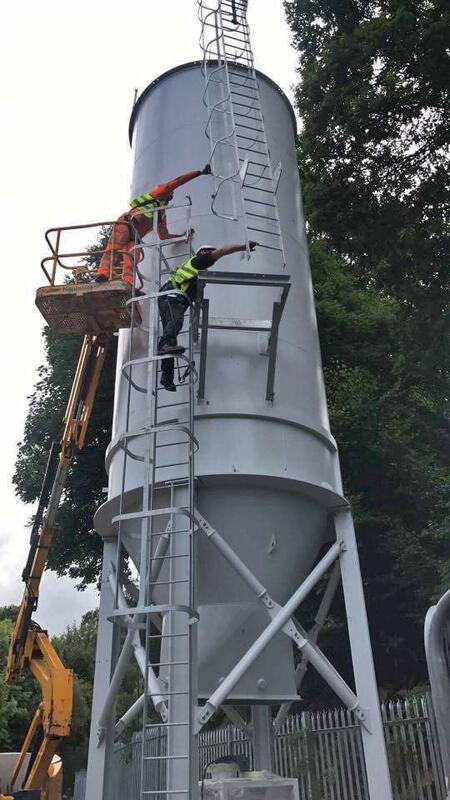 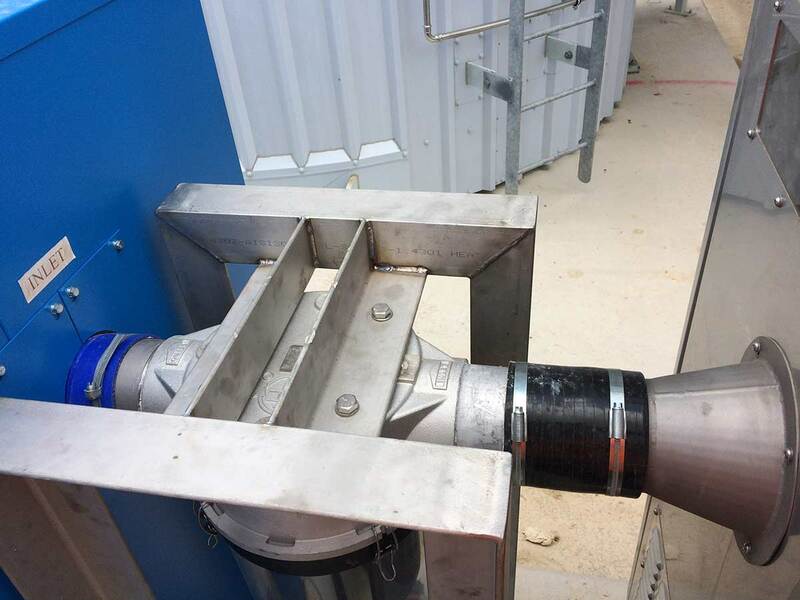 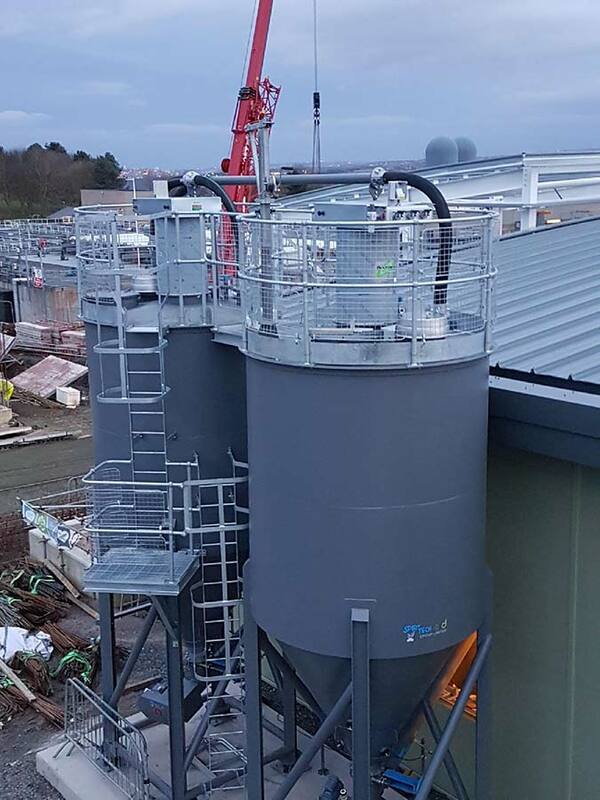 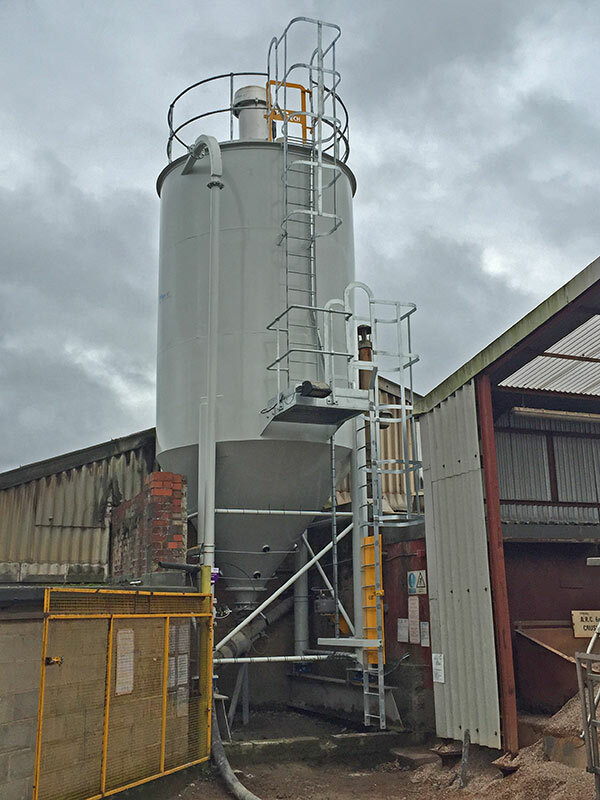 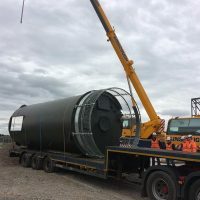 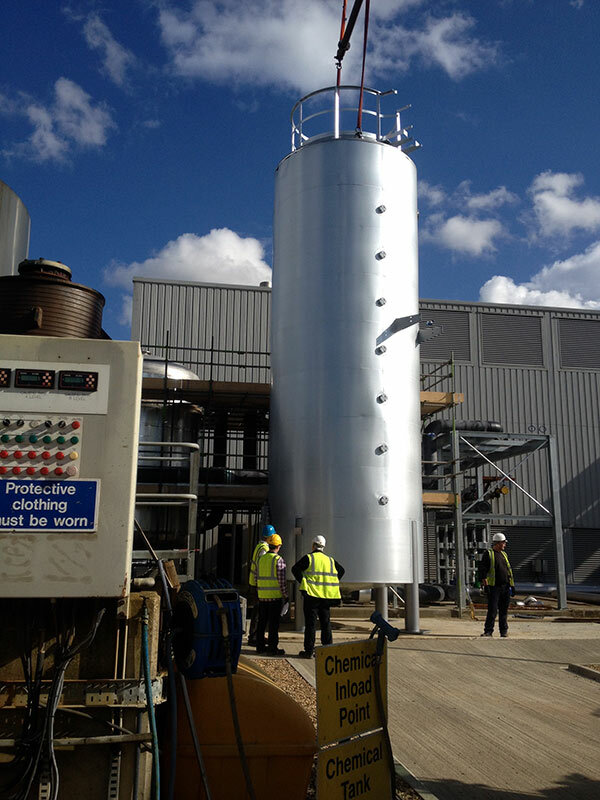 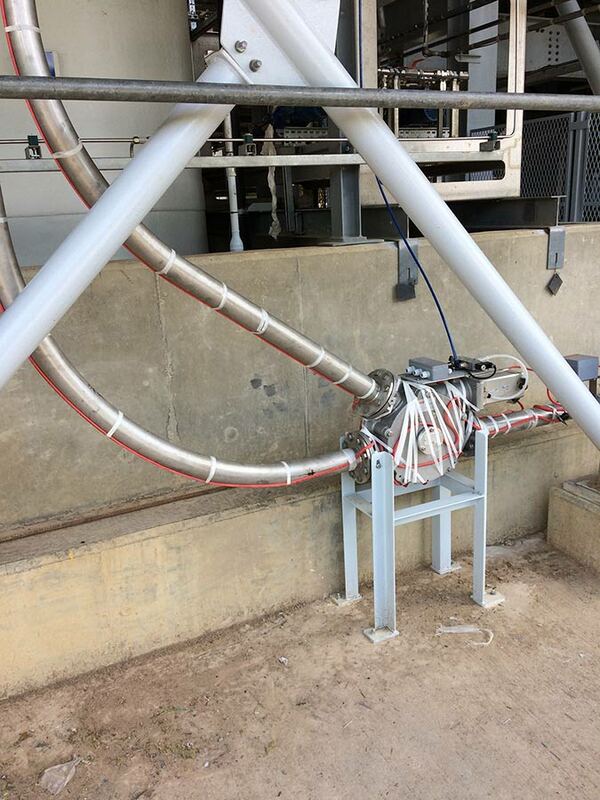 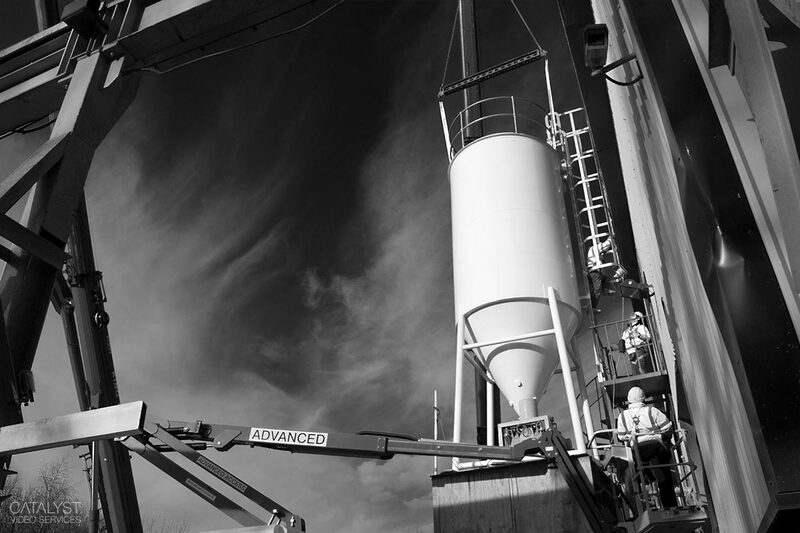 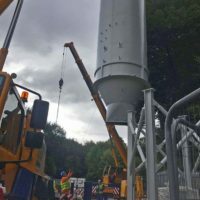 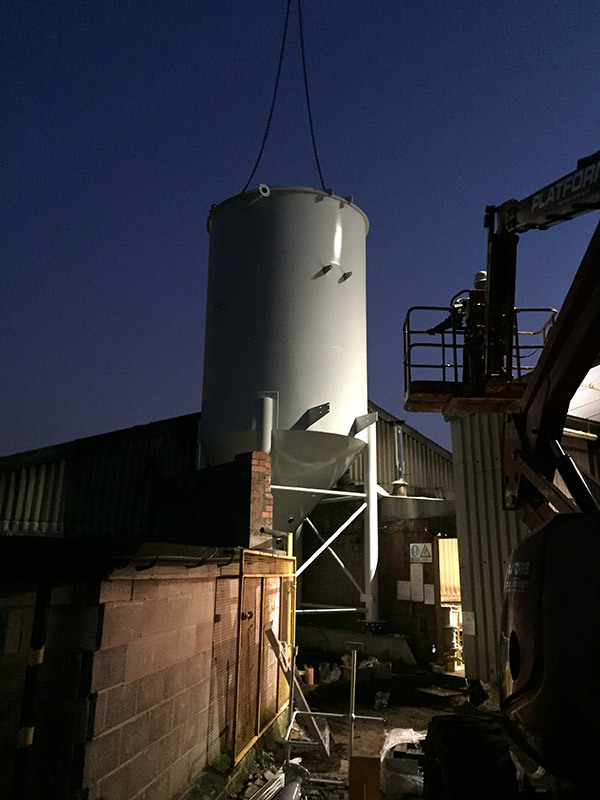 On-site silo installation, testing and final commissioning are undertaken by our own fully trained teams giving you the peace of mind that all aspects of the project are taken care of in a professional and safe manner. 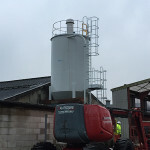 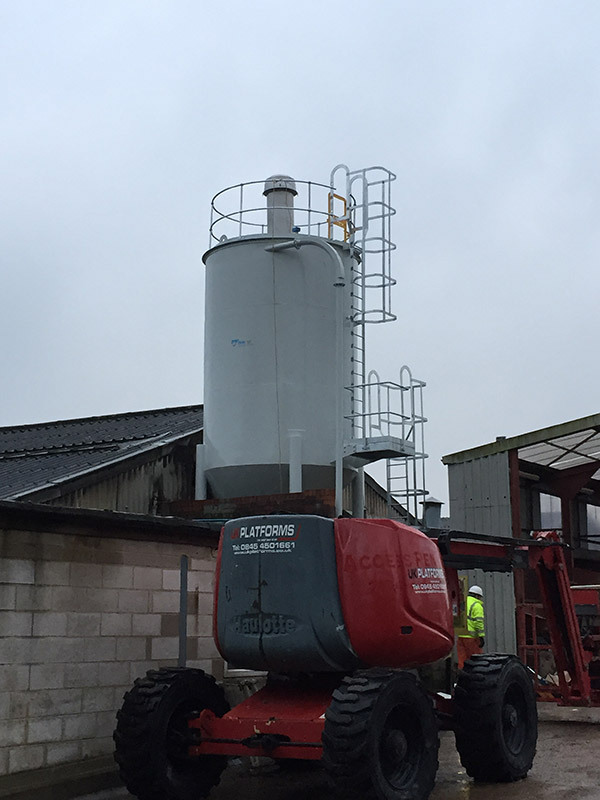 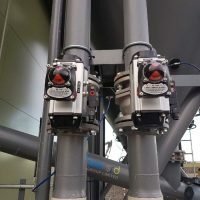 As part of our turn-key service, Spirotech can fulfil the role of principal contractor, bringing together and co-ordinating all aspects of the installation, including removal of any existing silo. 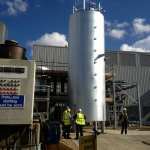 We carry out full project planning and programming and take responsibility for all specialist sub-contract management. 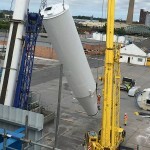 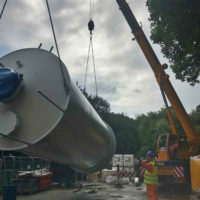 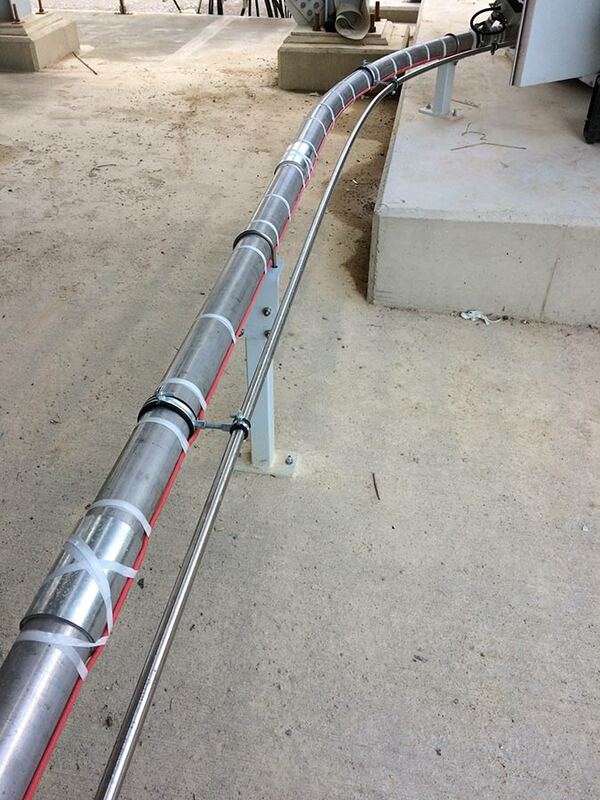 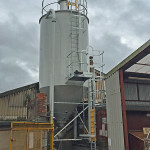 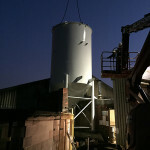 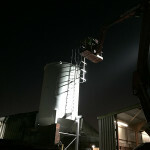 Spirotech’s engineers can disconnect, dismantle and organise the lifting of your redundant silo in preparation for the new installation. 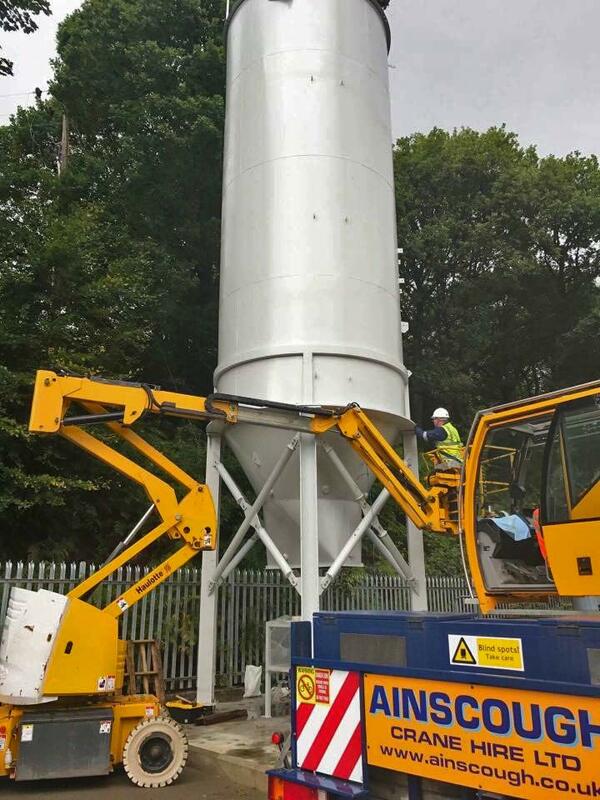 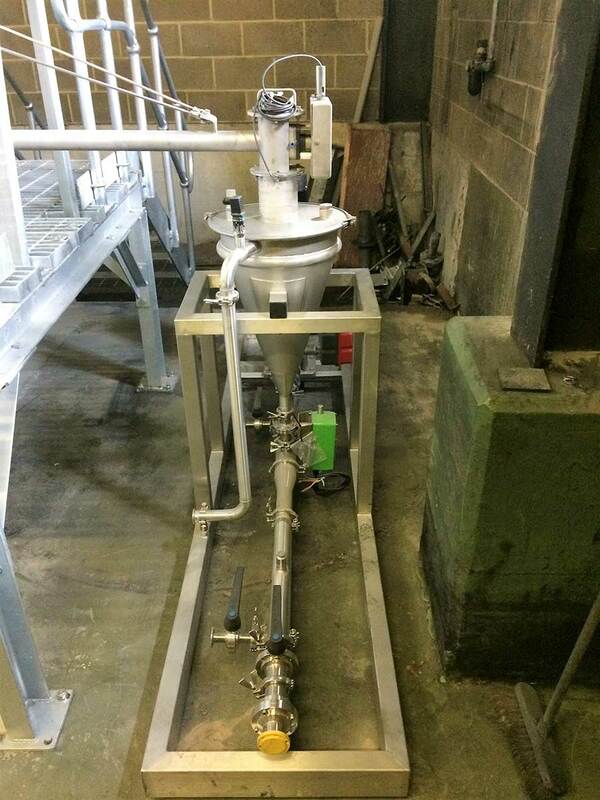 If required, Spirotech can organise the transport of the silo for scrap, or you can arrange this yourselves and we are happy to work alongside your preferred industrial waste management disposal company. 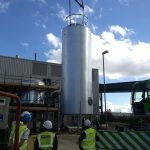 Spirotech-SRD Group’s on-site silo installation teams comprise of highly skilled and trained staff with many years of installation and on-site experience. 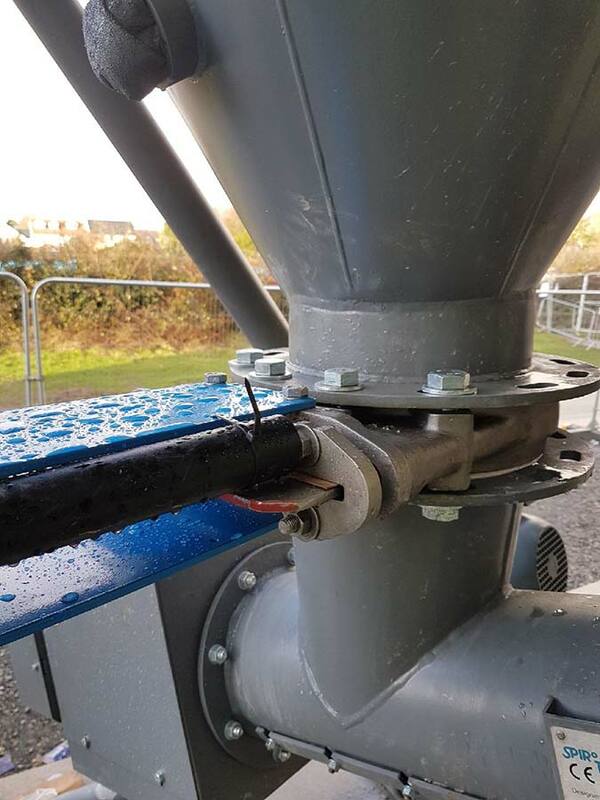 At Spirotech we pride ourselves on safety first and take great steps to ensure that our staff are educated and trained on every task undertaken. 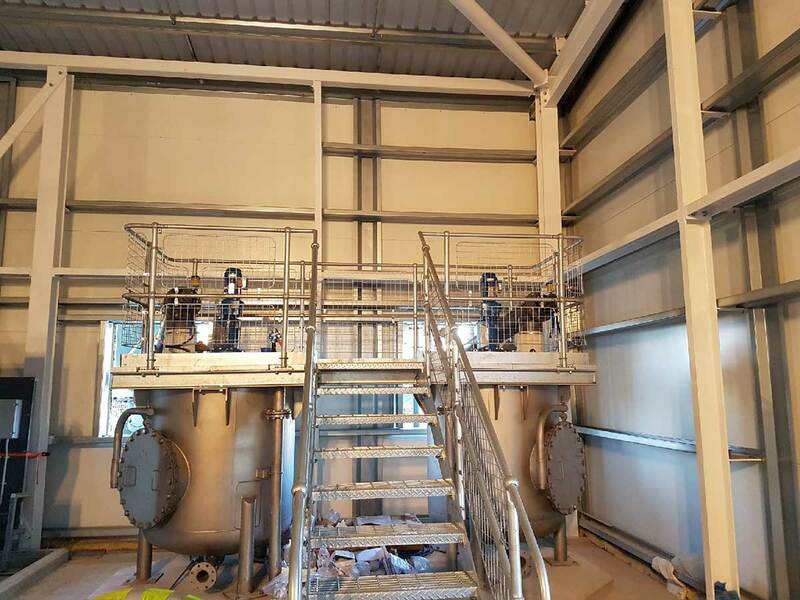 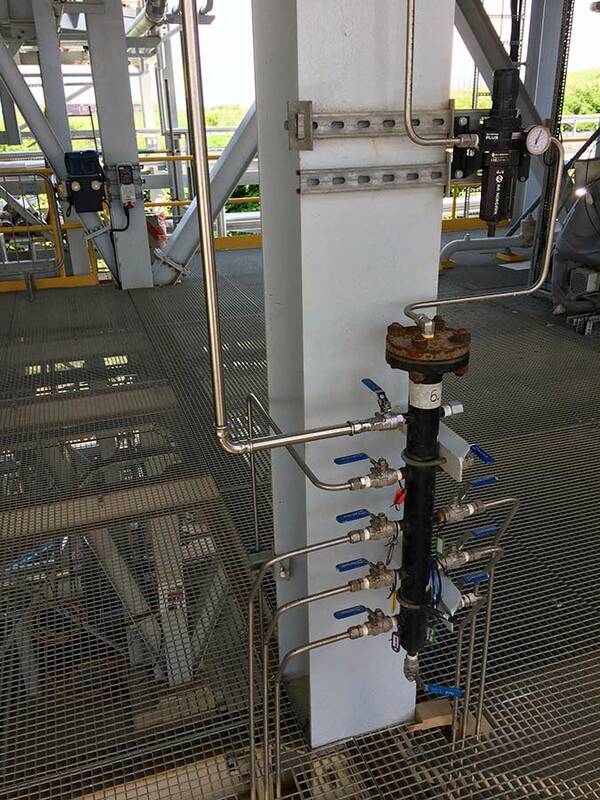 Once the project is complete, our commissioning team will take over and run extensive tests ensuring all equipment is running correctly. 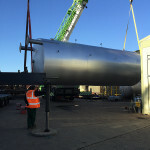 At this point the project will be handed over to the client where training will be given if required and a full date manual will be supplied. 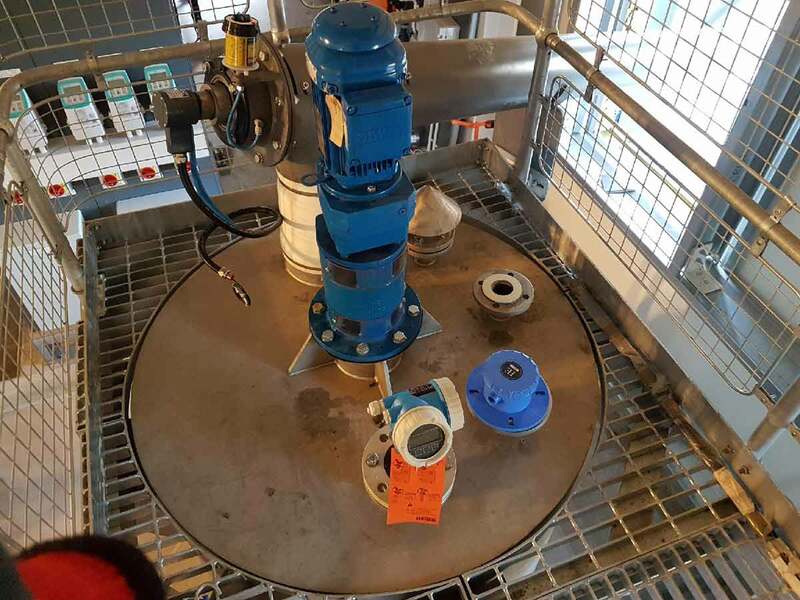 At Spirotech we understand the importance of loss of production so with this in mind we offer a wide range of flexible service packages to suit our customers’ requirements. 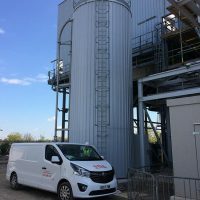 This can be regular service contracts including preventative maintenance programs, 24 hr breakdown cover, to stocked spares held at our service centre in York and called off as required. 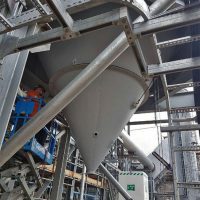 A full recommended spares list is provided with all of our projects and maintenance contracts. 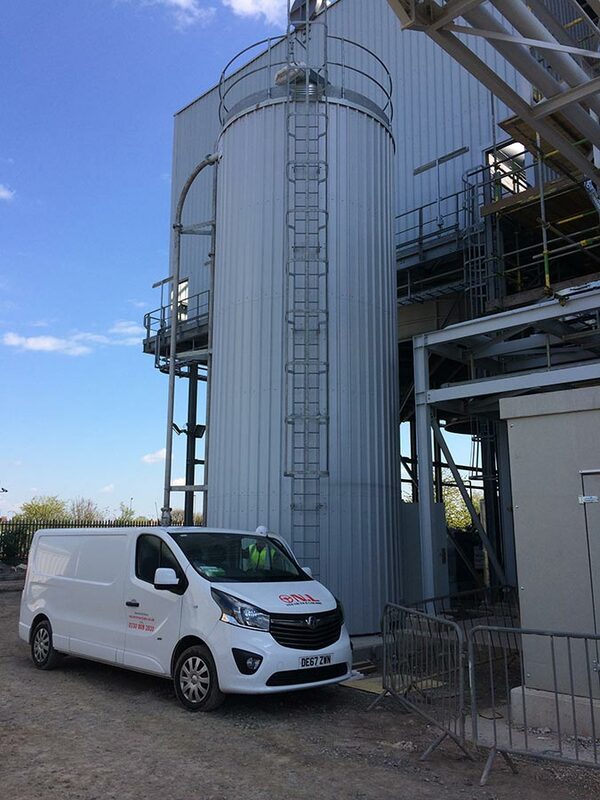 For further information relating to our silo installation service please don’t hesitate to contact our team by email at sales@spirotechgroup.com or by calling +44 (0)1487 832053.